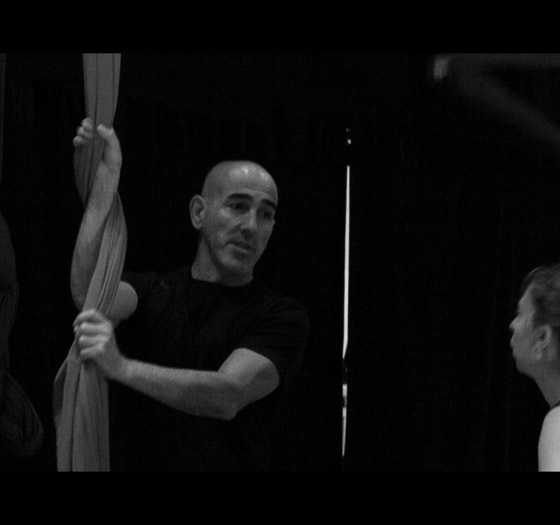 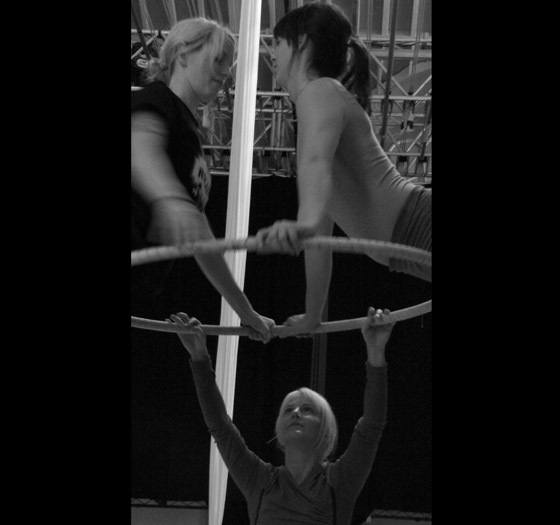 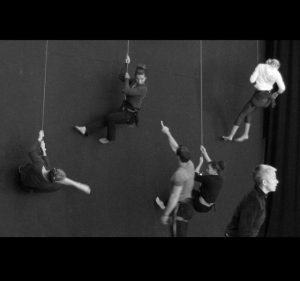 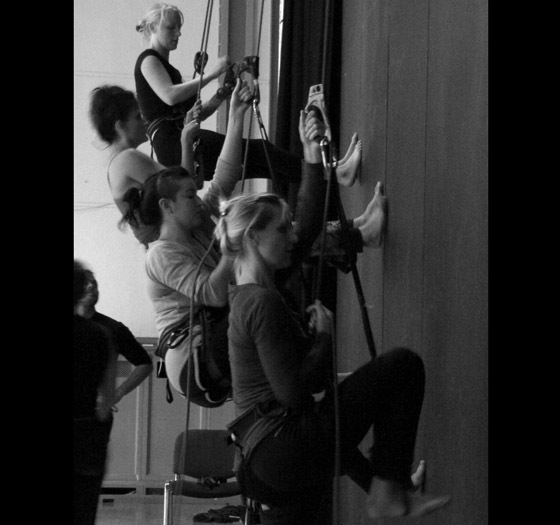 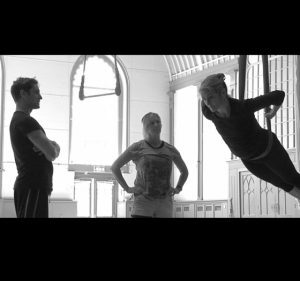 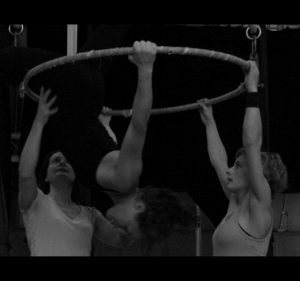 2010 saw Gravity & Levity host the 1st European Aerial Dance Forum in Brighton. 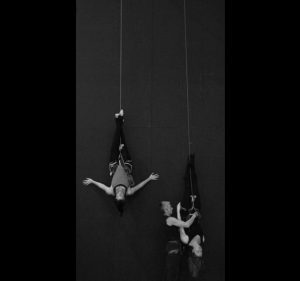 This festival was a culmination of over 2 years planning between 3 highly successful aerial dance companies: Drapes Aeriens in France, Fidget Feet in Ireland and Gravity & Levity here in the UK. The Brighton event was the last leg in a series of 3 which took place in the Corn Exchange during the last week of August and was generously supported by South East Dance as part of their Flourish Summer intensives programme & by Brighton Dome’s, ‘In process, in performance’ programme. 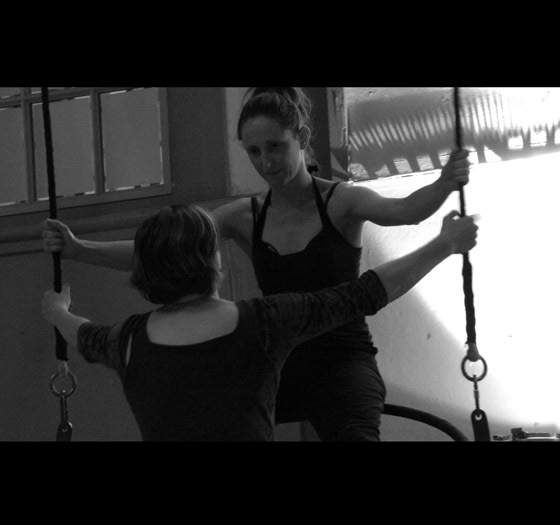 Over the 4 days we taught 40 classes, intensive stretching, conditioning & injury prevention, fabric, harness, rotating hoop, swings slings and cocoons plus rep classes and creative labs. 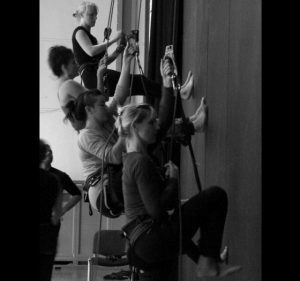 Most technique classes were divided into 2 levels – beginners/intermediate and advanced/professional and received fantastic feedback.